Legislature falls far short of governor’s goal of investing $100M to improve air quality. Advocates say it’s a good first step. (Trent Nelson | Tribune file photo) The state Capitol in Salt Lake City on a hazy day, Dec. 6, 2018. Though air-quality advocates won’t see anywhere near the $100 million Gov. 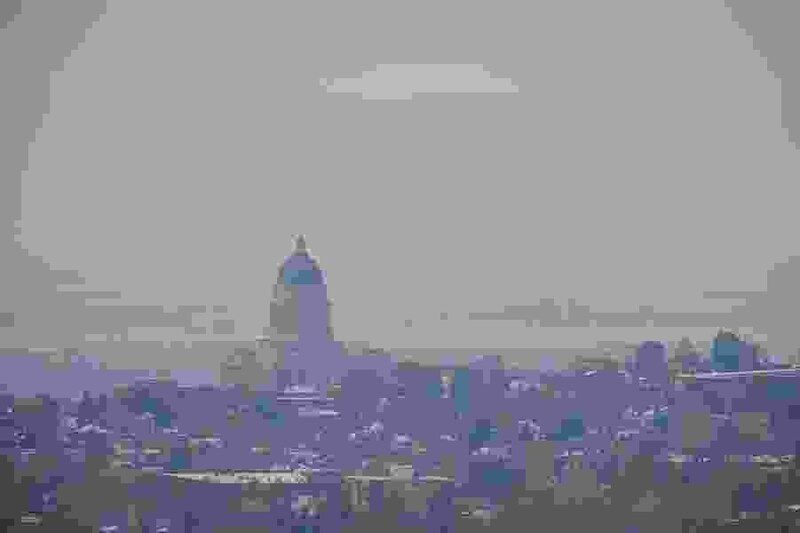 Gary Herbert had advised the Utah Legislature to spend on initiatives to clear the skies, they said the more than $28 million appropriated to the cause is a step in the right direction. That one-time funding goes toward a diverse set of projects that will, among other things, promote telecommuting in state offices, create seven more free fare days on public transit over the next three years, replace polluting state vehicles more than 10 years old and build vehicle charging stations at public facilities. “There’s not one silver bullet,” said Rep. Patrice Arent, D-Millcreek, who created the bipartisan Clean Air Caucus. Research shows the state’s air quality has improved in recent years. From 2002 to 2017, statewide emissions declined by 38 percent overall and 53 percent per capita, according to Herbert’s budget book, which was rolled out late last year. Still, researchers have linked the state’s poor air to serious and even deadly health problems. A new University of Utah study found air pollution was associated with an increased risk of miscarriage. There is also evidence that there are more absences at schools across the Wasatch Front on bad air days. Arent acknowledged that the Legislature’s funding for air quality wasn’t as high as the governor had proposed but noted that his recommendation came before new numbers showed revenue growth was not as brisk as originally projected. (Francisco Kjolseth | Tribune file photo) Rep. Patrice Arent, D-Millcreek, listens to Sen. Mitt Romney's response to her concerns over changes to the EPA during a brief meeting with the Democratic House Caucus at the state Capitol, Feb. 21, 2019. Arent, one of the driving forces of the Legislature's Clean Air Caucus, is happy about this year's investment in cleaning up the air and reducing emissions. Jessica Reimer, a policy associate with the environmental- and air-quality advocacy organization HEAL Utah, speculated that the higher funding in 2019 may indicate a shift for future sessions. One such appropriation is Sen. Luz Escamilla’s SB144, which received final passage in the House on Wednesday and directs the state Department of Environmental Quality to establish baseline environmental conditions in the inland port area planned for Salt Lake City’s northwesternmost side and monitor any changes resulting from the development. Some of the money will go toward reminding Utahns of their individual responsibility to reduce emissions. Some $500,000 has been earmarked for air-quality messaging campaigns.